Energy Technologies, Inc. supplies Wind Energy with rackmount UPS systems used to support their power generating wind turbines. 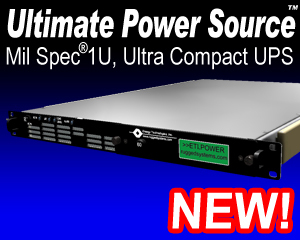 The ETI0001-2275 is a Rugged Rack or Fixed Mount (available in other mounting configurations) UPS & Frequency Converter. These units are used to provide dc backup power enabling the pitch of the blades in the rotor assemblies to be adjusted, ensuring maximum wind resistance and power gathering capability. 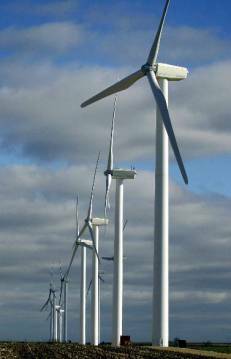 GE is one of the world's leading wind turbine suppliers. With over 8,400 worldwide wind turbine installations comprising more than 11,300 MW of capacity. With wind manufacturing and assembly facilities in Germany, Spain, China, Canada and the United States, their current products includes wind turbines with rated capacities ranging from 1.5 to 3.6 megawatts and support services ranging from development assistance to operation and maintenance. For more information on GE Wind Turbines, click here.